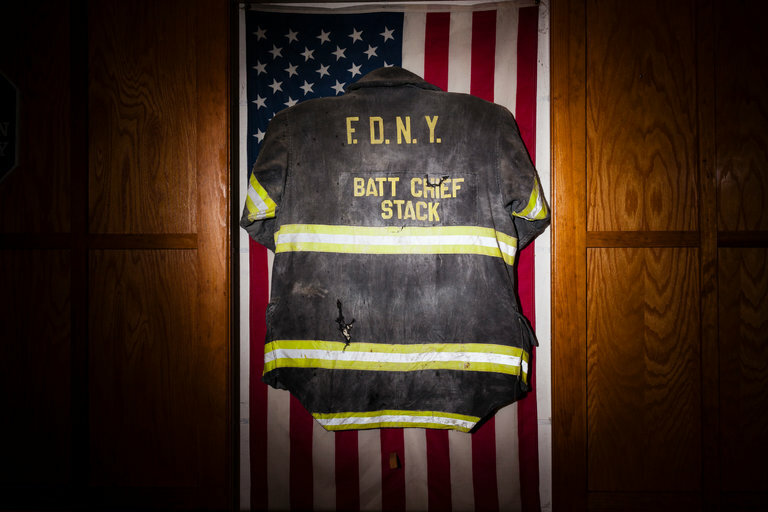 An FDNY battalion chief, who served the department for 33 years before perishing heroically on 9/11, was finally able to have a Catholic funeral Mass after a small vial of blood he’d donated months prior to the World Trade Center attacks was discovered in a Minnesota storage facility. The family of Lawrence T. Stack had waited 15 years for remains to be found, knowing that Chief Stack had died in the collapse of the North Tower as he knelt beside a fallen businessman who needed assistance. Since that day, the Stack family had waited in vain for some report of the chief’s remains, which are required for the Roman Catholic Mass of Christian Burial and interment in the sacred ground of a Catholic cemetery. The report never came. Chief Stack’s widow, Theresa, had just about given up hope of being able to bury her husband with proper ceremony. She’d set a 15-year deadline for herself, which was due to arrive this September 11. Then the family remembered that in March 2000, Stack and his wife, in response to a story about a young cancer patient in East Islip, had decided to give blood and sign up to be possible marrow donors. They were not matches for the boy’s marrow, but Chief Stack’s blood remained stored. Through the New York Blood Center, the family was able to trace Stack’s sample to a warehouse in Minnesota. As a result, Chief Stack had a funeral Mass on Friday, June 17, which would have been the Stacks’ 49th wedding anniversary. The vial of blood was buried at Calverton National Cemetery, as Chief Stack was a U.S. Navy veteran. How many other families of the fallen are in a similar position? As reported in a previous blog, Dr. Charles Hirsch, the city’s chief medical examiner from 1989 to 2014, had been committed to identifying the remains of as many 9/11 victims as possible. Unfortunately, despite his dedication to the task, Dr. Hirsch had only been able to identify about 59 percent of WTC remains when he retired. Today about 65 percent have been identified and work has halted on the rest of the remains, because their condition makes identification impossible with current technology. All of us at Barasch, McGarry, Salzman & Penson hope those families are able to find peace. Barasch, McGarry, Salzman & Penson represents injured 9/11 responders and survivors throughout the country. If you have questions about your eligibility for Zadroga Act benefits, call us at 888-351-9421 or contact our office online.